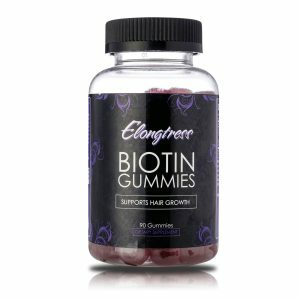 I have been using this for a few weeks, I have not noticed any new hair growth, but my hair is so much more shinier and healthier looking. The hair serum is a mix of castor oil, coconut oil, and grapeseed oil with an essential oil blend, I can’t make out the oils, but it smells AMAZING. it is really sweet, like cookies or cupcakes. I have been using this about 3-4 times a week, I use 2 pumps and rub through my hair and scalp. It does not leave my hair greasy, or oily looking, I will keep using this and update this review with any results, if I get any. The only reason this was given 4 stars was because I did not notice any new hair growth. 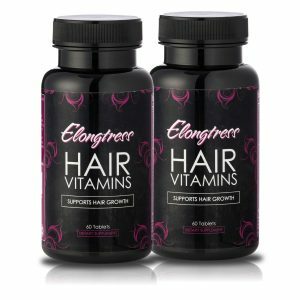 I would recommend for maintaining healthy looking hair, but not for growth. I do also want to add that I was able to purchase at a discount in return for a fair, honest, and unbiased review of the product. The opinion above is strictly my own, and I was in no way swayed by Amazon or the seller. I am disclosing this in accordance with the Federal Trade Commission’s 16 CFR, Part 255: Guides Concerning the Use of Endorsements and Testimonials in Advertising. I planned to use this oil on my scalp in order to facilitate faster growth, but after using it, I think it would be best to use as a sealant or for hot oil treatments. The oil itself absorbs pretty fast and it’s kind of a “dry” oil, which is why I wouldn’t use it on my scalp. It would just take way too much for scalp massages. If I used it for that purpose 3-5 times a week as the directions state, the bottle would probably only last me two weeks. Since it absorbs quickly, I can’t tell which areas of my scalp have been oiled so some sections would undoubtedly be neglected. The main oil is castor, which my hair loves. 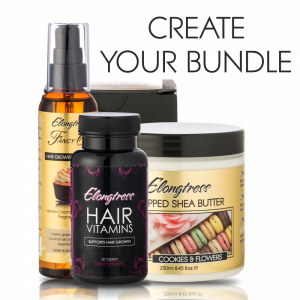 Elongtress softens my hair and makes it feel good when applying after a moisturizer. I haven’t used it as a hot oil treatment yet, but I’ll be sure to update my results when I do! I’m torn on the scent. Now, it doesn’t smell bad, but it doesn’t smell as delicious as I expected it to. There’s no cupcake anywhere. I can smell the caramel a little and the vanilla as well. The combination here falls a little flat for me. I like my products to smell like a delectable bakery and this doesn’t deliver. But still, as I said before, it’s not bad. Just not what I expected. I think if I hadn’t been spoiled by the likes of Annabelle’s Perfect Blend, Silk Dreams and Jakaela Bath & Body, I would have really been impressed with this scent. I received this product discounted in exchange for my honest opinion, which is what I have provided. Rest assured that although a discount was provided, I did test out the product thoroughly and my review is honest and without bias. Reviewing (at least to me) is not to be taken lightly because I myself rely on reviews to determine whether or not to buy a product. I never review a product unless I have received and used it long enough to form an opinion. My opinions and experiences are mine alone and have not been influenced in any way by sellers or Amazon. I rate products based on what I think they deserve, whether that be one or five stars, I will rate appropriately and tell you why I rated it as such.